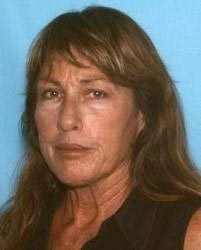 Hawaiʻi Island police are asking for the public’s help in locating a missing 57-year-old Hāmākua woman. Kelie Ann Feliciano Sensano, also known as Kelie Sensano, is described as Caucasian, about 5-foot-5, 150 pounds with straight brown neck-length hair and green eyes. She was last seen in Pāpaʻaloa on Saturday (February 23) at about 11 a.m. She was wearing blue jeans, a white tank top and black leather shoes. Her family and friends are concerned about her safety and well being.